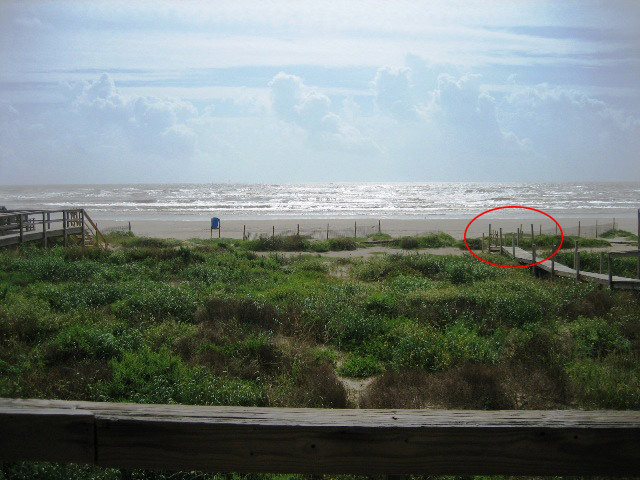 A few years back, we rented a beach house in Surfside, TX with two other couples. We had done this before with this particular crew and always had a grand time. I'm amazed at the amount of gumbo 11 able-bodied people can consume in a few short days. On this particular trip, one of the other couples brought a boat to fish the bay system behind the house. This boat was perfect for 2 fishermen, OK for 3 but too small for 4. I was the odd-man out on the Saturday excursion and eventually got over my intense jealously. My role was to be Cabana-boy for two thirsty women and generally ensure the 5 young children continued to respire. The Cabana-boy role included, but was by no means limited to, portaging various beach-related accessories such as chairs, towels, toys and an evil contraption called an EZ-UP. An EZ-UP, as originally manufactured, is an intricately designed aluminum / steel / fabric device which will expand from a 5' x 10" x 10" rectangular block of 517 individual riveted components to a shade providing awning of 12' x 12'. EZ-UPs are in fact easy to put up with two mechanically inclined adults, no wind, no rust or sand from previous trips, on a perfectly flat, frictionless surface, at 72 degrees. This technique worked fine for 98 of the 100 yards. Perhaps I was daydreaming about fishing, perhaps I was in a gumbo-induced food-hangover, perhaps I'm simply a clumsy idiot but something happened as I prepared to make the transition from the elevated, wooden surface of the walkway to the actual sand. Very hard and very quickly. I'm short. Being short, you end up developing quick reflexes or you get yourself into a great deal of trouble gross mass would typically prevent. For 37 years, these reflexes and eye-hand (in this case eye-foot) coordination served me well and I was able to avoid permanent, debilitating injury. I'm convinced that men in the US officially become old at 37-38 years of age. Changes to joints, eye sight, judgement and gravitational forces converge to make you to realize ... "I'm not 18 anymore!" At precisely the moment I came to the stairs and thought to myself 'I should tell the kids to move their toys from the stairs before someone trips and falls', I, in fact, tripped and fell. There is no need to go into the particular physics of what happened but when a 40lb EZ-UP falls approximately 2' and the only thing stopping it from continuing to its path to the ground at 9.8 m/sec2 is your horizontal right thumb and a 2x4 railing, something must give. 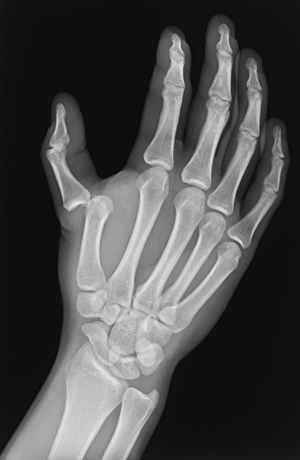 In this case, the something was the joint where my right thumb biologically joins my right hand. At the shock of seeing the bizarre angle of my thumb relative to my hand.... I dropped the EZ-UP, swore under my breath, walked the 98 yards back to the house to explain the situation and proceeded to turn slightly pale from the discomfort / pain and being sickened by the odd thumb/hand angle. My wife, who does not do well with these sorta of things, immediately grew concerned that the EZ-UP will not, in fact, be put up any time soon. The not-my wife (let's call her Rhonda) wanted to examine the thumb. Thinking her background in software marketing had not prepared her adequately, she took exception to my suggestion that ..."Nothing personal but I'd rather a trained medical professional take a look at it." After a great deal of fretting over the swelling, purple thumb, Rhonda picked up her phone and started typing. I implored her to NOT call the others on the boat. There was nothing they could do and it was not like I was going to die. There is no need to ruin a fishing trip over this. She blew off the comment/request and said she was just checking her email. This, ladies and gentlemen of the jury, was a complete and total lie. "LARRY HURT. KIDS OK. COME HOME NOW!" The above thumb related chain of events took place in exactly the same amount of time it takes to (i) drive to the boat ramp with three avid fishermen, (ii) put said boat in the water, (iii) motor to a prime location and (iv) catch one (1) fish. The ambiguous text message was received by my boat owning, fishing addicted friend Chris which placed him in a significant quandary. Does he (a) ignore the message blaming faulty phone reception on the coast and continue to fish or (b) return after a grand total of 12 minutes on the water to find out the problem? After a great deal of discussion about the lack of knowledge and useful information imparted by a message such as "'LARRY HURT. KIDS OK. COME HOME NOW! ", they packed up and returned. Surely there was an explosion, structural failure or industrial chemical leak and the other adults' help was needed. My wife, now having realized that there is nothing wrong with my left hand, suggests I put up the EZ-UP so they can sit on the beach. Having never broken or dislocated anything significant up until this point, I figured I would eventually be heading to an emergency room after the other adults came back that afternoon and, having nothing better to do, helped them put up the EZ-UP under which we all sat and began to enjoy the beach, sand, sun and fun. Minutes later, Chris is walking down the Walkway of Doom with a grave look on his face. Knowing all members of the boating party were full of strong opinions on most topics, my first thought was someone ran their mouth about something regarding boat navigation or bait selection and there had been a significant disagreement. I met Chris halfway up the beach. Chris: "What? What's going on?" Chris: "We got a text message that you were hurt." Larry: "Rhonda!.... I TOLD her not to call you!!!" About this time Bob walks up and seeing the thumb, gets that "this guy must be an idiot" look on his face. After explaining the plight of my thumb, Bob, gently so as not to offend me with what to him was a very, very obvious question asks... "Did you try to pull it back into place?" to which I answered.... "err... no". It is still unclear if the members of the boating party were amused. They claim "they never received the messages".